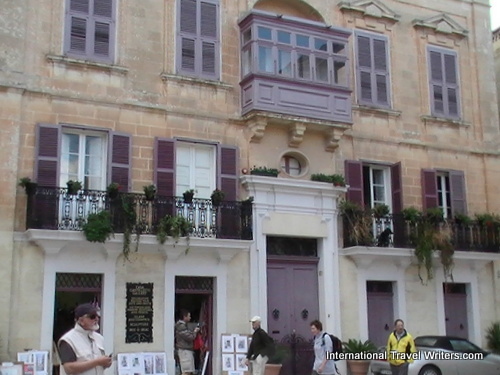 The Auberge de Castille et Leon was formerly the official seat of the Knights of Malta and it now houses the office of the Prime Minister of Malta. 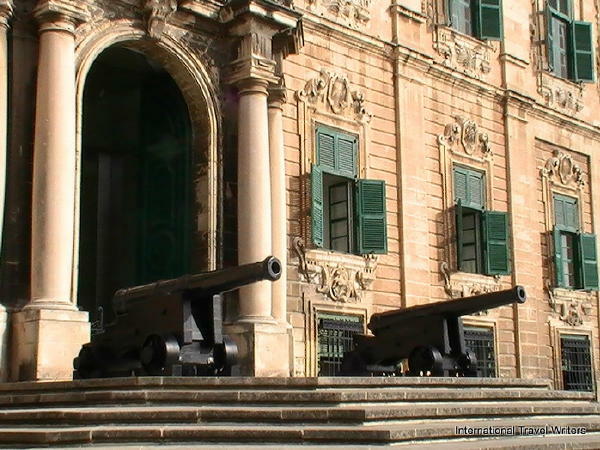 Auberges were temporary residences for visitng knights who didn't maintain a home in Malta. Other dignitaries needing hospitality while traveling also were given accommodations. 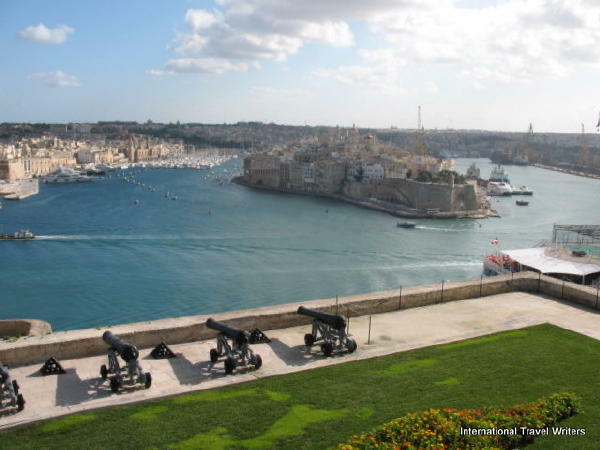 The Magisterial Palace, built between 1571 and 1574, formerly the seat of the Grand Master of the Knights, now houses the Maltese Parliament and offices of the President of Malta. Please note the shallow steps specifically designed to allow for Knights in armor to maneuver easier. 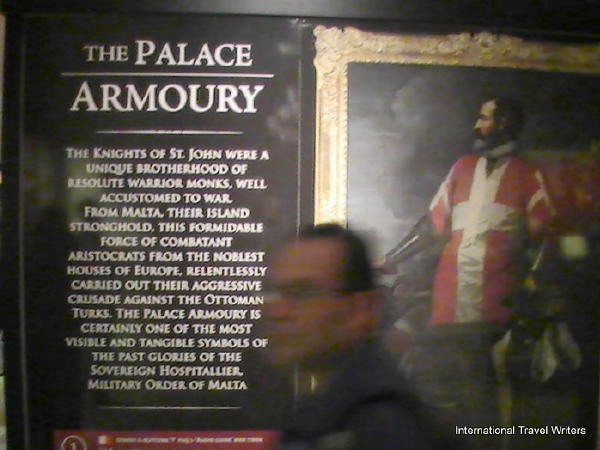 The Armory houses one of the finest collections of Medieval and Renaissance weapons in all of Europe and it runs the width of the back of the palace. 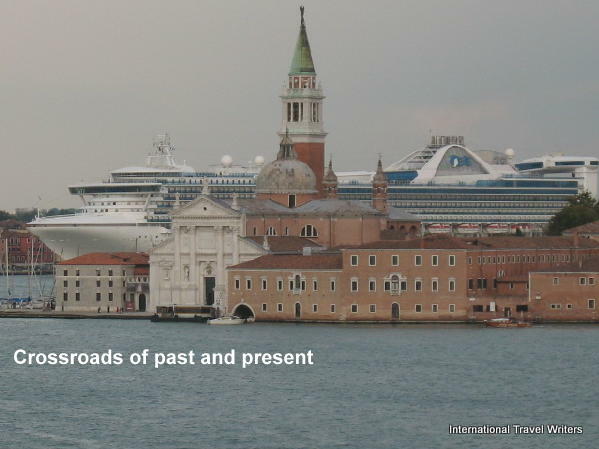 The collection was much larger at one time but during the few years of French control, many relics were removed. In the display cases that contained some of the items there was a description along with old instructions on usage. 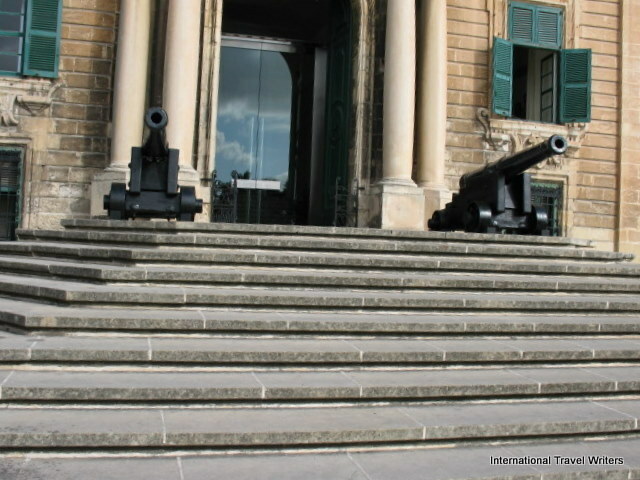 This display in Valletta-Malta is huge. 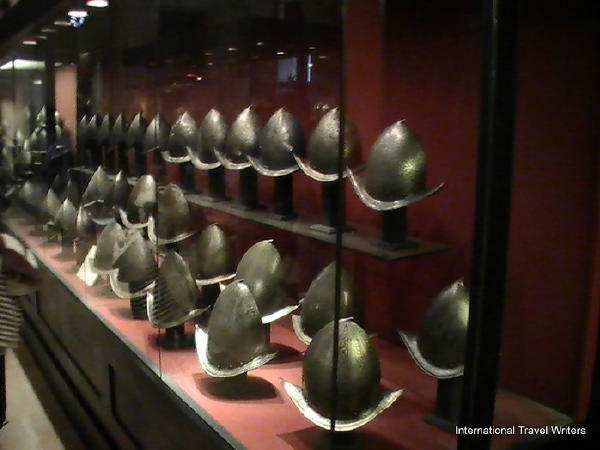 There was even a glass cabinet of Turkish shields and weapons. The armor and the helmets were definitely not for the big and tall. When I say "we" it means that my husband went to the armory and took the photos while I went shopping and then looked at the photos later....which one of us had more fun...it's all a matter of perspective and personal interests...I leave that up to you, the reader to guess. The Palace Armory that you see here is an amazing collection made more amazing by the fact that it is housed in its original buildings. 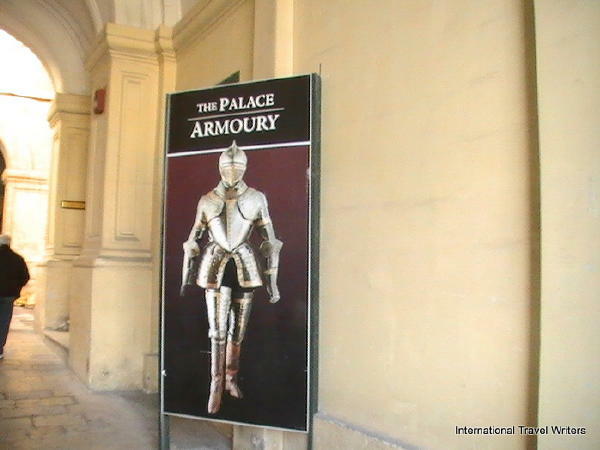 The Palace Armory dates back to 1763 and occupies two halls of the Magisterial Palace. 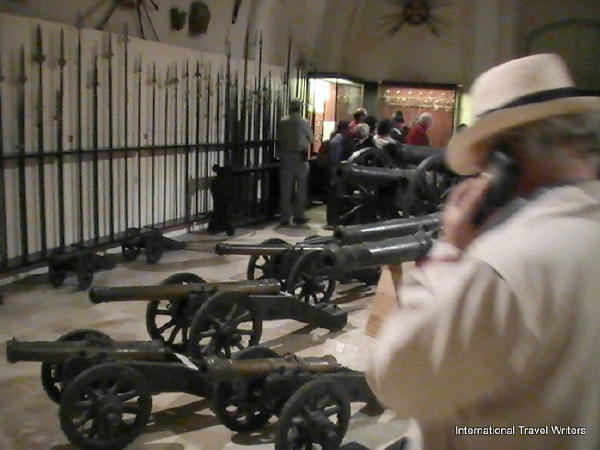 The selection of cannons were spectacular and came in all sizes but the most jaw dropping thing we saw were the coats of armor. 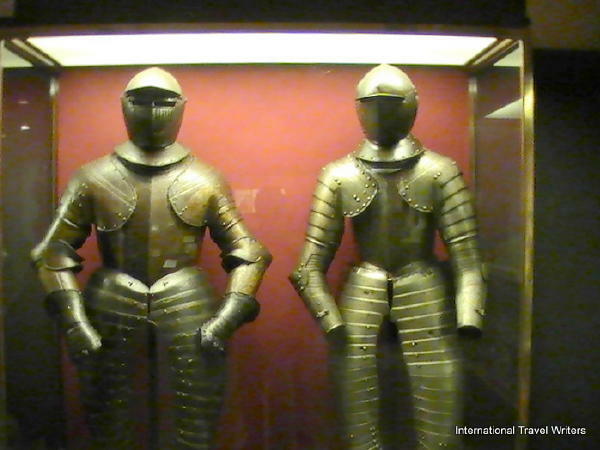 We marveled that the Knights had been so physically small compared to our society’s larger specimens today.